Tribal Clash is returning to Australia for the second time in 2020. Teams of 6 athletes (3 men + 3 women) will be racing in several various challenges during the two-day competition weekend. 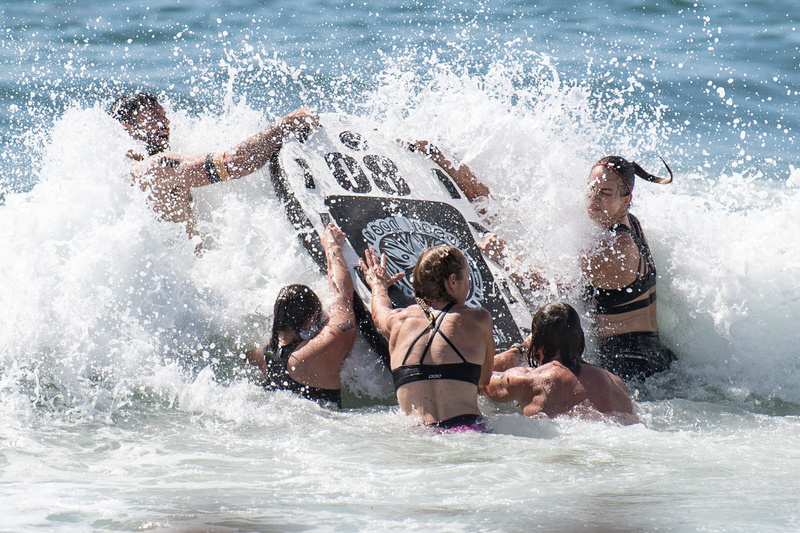 Click here to register your team for Tribal Clash Australia 2020. Your team spot at Tribal Clash is confirmed as soon as you have completed payment. From this point on, the spot is non-refundable and non-transferable. Wollongong is located just over one hour’s drive south of Sydney, reached by driving just over an hour down the M1 or taking the slightly longer and far more scenic route along the famous Grand Pacific Drive. Visitors can also travel by train from Sydney to Wollongong, arriving in around 90 minutes. Sydney International Airport is served by daily flights to cities across Australia, as well as direct flights to destinations further afield in Oceania, Asia, the Middle East and beyond. On arrival, visitors can hire a car to travel to Wollongong or take public transport. There are good transport links within Wollongong including a free local bus which runs around the city centre, with a stop just a few minutes’ walk from the Tribal Clash arena on Wollongong Beach. Head for North Wollongong Surf Lifesaving Club – the event will take place on the beach just in front of this building. Free car parking is availablein the area surrounding North Wollongong Beach, with a car park opposite the Surf Life Saving Club and more parking spaces along Cliff Road. However we would recommend that competitors park elsewhere if possible as space will be limited near the beach. – Park at Fairy Meadow Surf Life Saving Club (Elliotts Road, Fairy Meadow) then catch the FREE Gong Shuttle Bus from Elliotts Road (Stop 6) to North Wollongong Beach. – Park at Stewart Street Car Park East (near Harbour Street, Wollongong) then catch the FREE Gong Shuttle Bus from Illawarra Performing Arts Centre, Burelli Street (Stop 12) to North Wollongong Beach. Information about the free bus can be found here. On Saturdays the bus runs every 20 minutes between 8am – 6pm. On Sundays the bus runs every 20 minutes between 9.40am – 5.20pm. Download the free version of the TripView app to check bus times for routes 55A and 55C. There are a number of cafes around the beach where Tribal Clash competitors and spectators can buy food and drink, the nearest being Diggies Café and North Kiosk. North Kiosk will be selling takeaway drinks, snacks and larger meals from 7.30am – 4pm, while Diggies Café is also open throughout the day. Other dining options within a ten minutes’ walk of the beach include PEPE’s On The Beach, Mudcat Café, North Beach Pavilion, the Health Hut, Connie’s Café, Aqua Restaurant and Blu Orange Cafe.